It’s an excellent refrain from the common sense school of design that Steve Krug pitches in his book of the same title, but one that’s often forgotten when rushing a product to market or marching towards a deadline. Particularly when we get caught up in the details of hamburger menus, link buttons and other aesthetic choices, it’s easy to lose sight of the fundamentals that underpin a usable product. 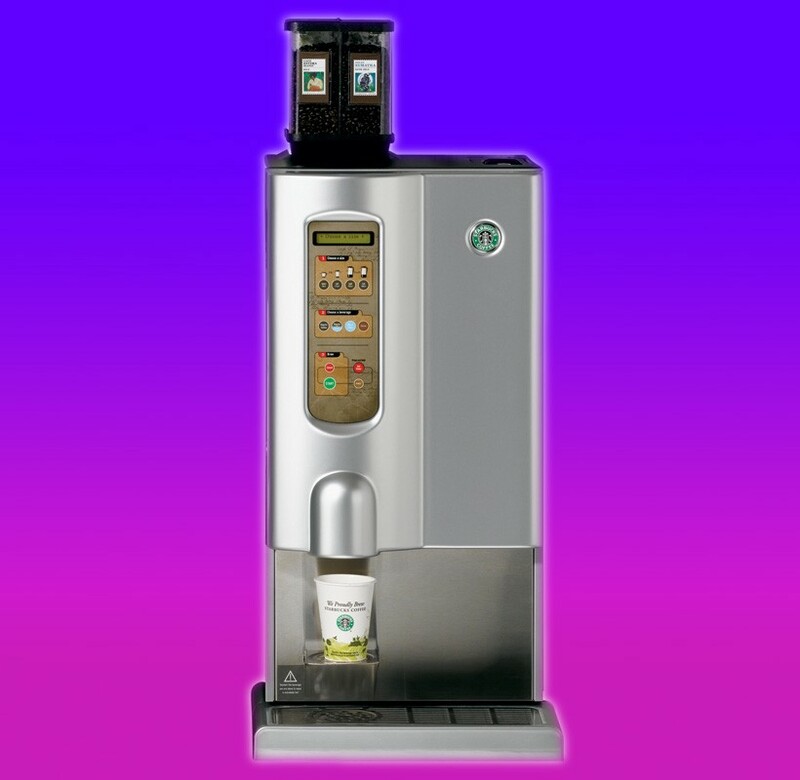 It certainly ticks all the features — a chamber to freshly brew your cup on demand, as much or as little as you need, multiple bean sources, a quick cleaning mode, etc. From the look of it, it can even withstand a beating from a baseball bat. What’s not to love? The proverbial rub appears once you put yourself in a new user’s shoes, eager to get caffeinated with as little fuss as possible. What’s a “left” coffee? There’s a cognitive dissonance that quickly pops up. You were following a flow from top to bottom, first picking a size, and then need to suddenly look up to decode a new term out of context (that is, if you remember where the bean labels were — if not, you may find yourself bewildered for a moment). 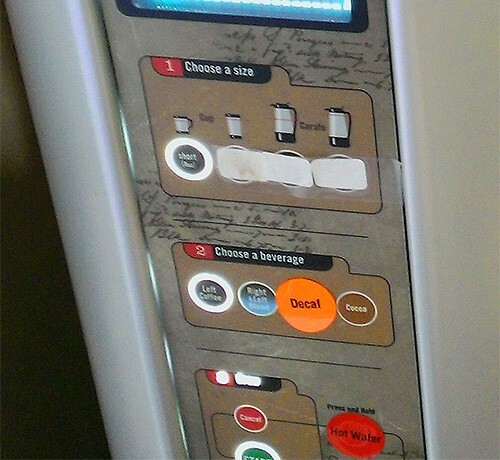 If you’re a shorter person, the labels might even be obscured from where you’re standing, directly in front of the machine. And be careful you don’t make a mistake before starting the brew. That red Cancel button above Start? Doesn’t actually do anything once you’ve hit Start. Conventions around words like “cancel” give users a feeling of safety to explore a new system, but by bucking the trend and not clearly communicating the point of no return, you may end up treating them to an unfortunate surprise, and a cup to toss in the drain. 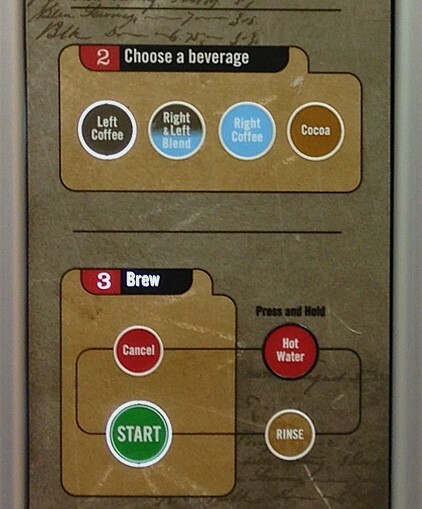 To their credit, Starbucks fixed their next generation brewing kiosk by introducing a touchscreen where you can see the name of the coffee you’re selecting, among other things. But I’m left to conclude their v1 product team became desensitized to these hiccups, or worse, attempted to trade off quality of experience to save on costs — which ended up being a losing bet. Think about it. A whole generation of R&D could’ve been salvaged with basic user testing and a dash of customer empathy. Product and UX professionals help defend against these pitfalls on a daily basis, but it’s a strategy for everyone on the team. Rather than rationalizing why the user ought to be able to follow along, take an honest walk in their shoes. Get fresh eyeballs if you need to. You might be surprised by the perspective that a little common sense can offer.